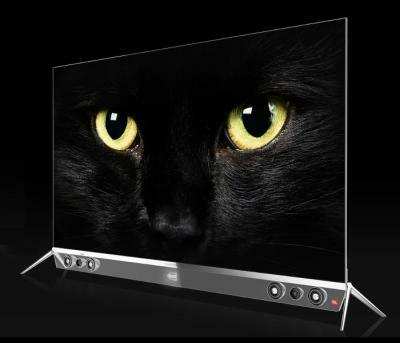 China's Skyworth launched new OLED TVs for 2016, the S9300 and the S9-I, which seem to be the same TVs with support for HDR. Both TVs are offered in 55" and 65" and feature 4K resolution, JBL speakers and Skyworth's SmartTV platform 5.0. All the TVs, of course, use WRGB OLED panels made by LG Display. The 55" 55S9300 costs 元14,999 (about $2,300) while the 65" 659300 costs 元25,999 (about $4,000). The S9-I are of course more expensive, and the 55" 55S9-I costs 元16,999 (about $2,600) while the 65" 65S9-I costs 元29,999 (about $4,600). We already reported about Skyworth's 2016 OLED and OLED HDR TVs back in December 2015 - but now we have the model prices and the correct and official pricing. Back then Skyworth said it aims to sell 30,000 OLED TVs by the end of March 2016 (the company's FY2015) - and hopes to sell 200,000 OLED TVs by the end of March 2017. Skyworth's main problem with those OLEDs is that LG Display cannot supply them with enough panels, especially the 65" ones.